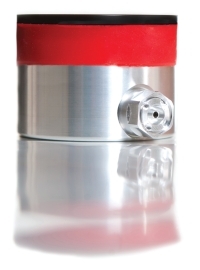 An innovative, cost effective solution for optimal suspension in expulsion and vacuum. Our durable, lightweight, endoskeletal QuickLite™ Covers are designed for use on preparatory and permanent prostheses. Made of polyethylene foam that is pre-shaped to reduce fabrication time, they are easily removed for adjustments and easily reinstalled. Available in four B/K sizes and two A/K sizes; either left or right sides; split covers. Wear as is, or cover with hose or skin. Fabrication time averages 30 minutes. Quick installation during patient appointments. Washable; user-friendly; weighs 2 oz. Protects inner components and clothing. 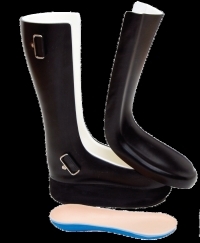 Ottobock now offers a line of waterproof components! Designed specifically for use in the water, the Aqualine® waterproof prostheses provide waterproof protection for either below-knee or above-knee users. The Aqualine components are perfect for use as a shower leg or for other water activities. The Aqualine accommodates users who weigh up to 330 lb. and includes specially modified adapters, pylons, and a tube clamp along with the waterproof knee and foot. Call your local sales representative to learn more. The StepLock is a ratcheting, multi-position joint that is ideal for standing assist or flexion contractures. StepLock is modular and interchangeable with the Interlock. With its multiple configurations and sizes, including a hip, it can accommodate any combination of weight and activity. Helps to increase the knee range of motion. 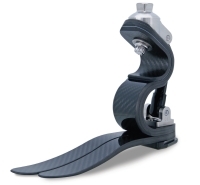 Designed for knee-flexion contracture management. Unparalleled strength, plus a nickel-plated finish, for extra durability. 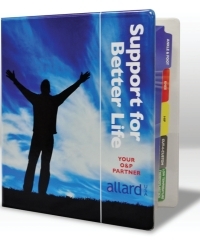 You will also find an electronic version of the catalog at www.allardusa.com The electronic version includes an interactive table of contents so you can just click on any item and immediately transfer to the page that details the information for that specific product. 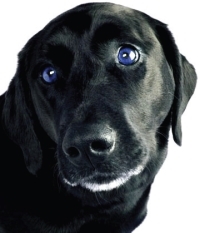 Is Your Lab Sad about the Irritation and Expense of Carbon? Use Coyote Design's new "composite" in your laminations. Made from basalt (volcanic rock), this material creates an inert and safe material that causes much less itch than carbon. Our proprietary braid was designed for prosthetic and orthotic use, and is similar in weight to carbon, but less rigid for a more flexible, comfortable sockets. Basalt is also tougher than carbon or fiberglass to withstand impact and resist delaminating, and it is less expensive. Available in 4", 6", and 8" braid, as well as reinforcement rope or sheet fabric. 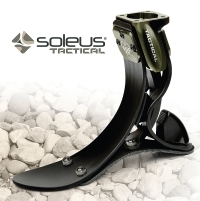 The Tactical Soleus is available in limited quantities starting July 4, 2012, and $200 of every Tactical Soleus sold will be donated to Purple Heart Homes. This organization is committed to providing housing solutions for service-connected, disabled veterans. The AIRPUCK™ system is a cost-effective vacuum reservoir that can maintain negative pressure within the prosthetic socket for extended periods of time (6-10 hours). The AIRPUCK system completely seals the distal aspect of the socket, allowing users to open the valve and remove air in the socket to achieve vacuum suspension. The vacuum barb is neatly concealed in the valve housing. Blister pull fabrication makes an air-tight socket a breeze. No hoses, barbs, or ports to contend with. The AIRPUCK is a self-sealing, modular, drop-in vacuum component. Patent pending. You asked for more—and we've delivered! Now your patients with spinal bracing needs can benefit from the renowned Ottobock quality and value. 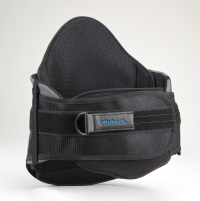 The complete lineup of products includes cervical, lumbar, thoracic, and sacral orthotics (the Ottobock Fulcrum LSO is pictured here). These latex-free, off-the-shelf spinal products provide superior support and stabilization for all your patients' conditions, from relief of acute back pain to pre- and post-operative stabilization. OPTEC is proud to present our new VENUM® spinal system, which is ideal for patients requiring firm spinal support. With its unique and mechanically advanced closure system, the VENUM® makes it a snap to don and doff with minimal effort. Its slick, weightless construction is breathable, hypoallergenic, and nearly undetectable under clothing, without compromising maximum comfort. Due to the ergonomic design of the brace, patient therapy participation is promoted by adjusting the level of support. Say goodbye to old-fashioned sockets and welcome the next generation in prosthetic-limb connectivity—the patent-pending HiFi™ Interface. Unlike traditional sockets that simply fit the periphery of the residual limb, the HiFi Interface captures and controls the residual bone. The patent-pending HiFi Imager, with its skeletal-capture technology, is a device used for transfemoral patients during the casting/scanning phase. Upper- and lower-limb patients report a significant increase in control, function, performance, and comfort with the HiFi Interface. "It feels more like a part of me." Becker Oregon's CRO Walker is a neuropathic healing boot designed to offer maximum flexibility and patient comfort, as well as ease of maintenance for the attending practitioner. The orthosis consists of a custom-molded clamshell design in your choice of composites or thermoplastics, with a removable, self-molding plantar liner and sub-liner available in 5mm and 10mm Plastazote® or Aliplast®. Removable, interchangeable liners allow for swelling and edema issues and assist in cleaning and replacement. The custom silicone liner for the best choice in vacuum and expulsion systems. Accommodate, NEVER correct! People with Charcot foot, edema, hammer toes, bunions, and RA foot pain cannot tolerate much correction or pressure caused by footwear. Proper fitting of footwear is essential, and our Mt. Emey orthopedic line offers shoes for any of these conditions. Whether accommodating for depth, width, size, or even for shape, select from a variety of shoes from our orthopedic line to fit that special foot of your patient. Call our friendly customer service department for more information or free samples. The PreStride™ allows practitioners to make an informed decision regarding the suitability of Becker Stance Control Technology prior to manufacturing a definitive orthosis. Intended as an assessment tool for the FullStride™ and SafetyStride™ Stance Control Systems, the PreStride now also comes equipped with the GX-Assist. The GX-Assist accommodates individuals with significant weakness of hip musculature by use of a pneumatic spring to assist in knee extension during the swing phase of gait. 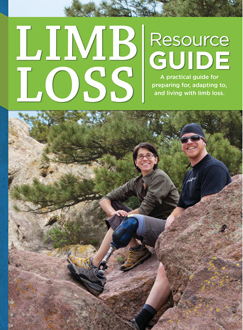 The Carbon Copy 2® foot is a sound choice for amputees who are active or are transitioning from a lower-activity foot. Outstanding durability and stability by incorporating a carbon/nylon keel. Dual-spring design provides energy returnand smoothtransition from heel to toe. 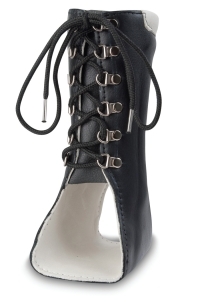 Good upgrade for SACH foot wearers. Engineered for moderate- to high-activity use. Contact WillowWood for a FREE foot chart and poster! The innovative design of the DynaStar foot combines a long, carbon-fiber keel and hard heel linked by a unique PU joint.The DynaStar is made for K3 users who are looking for stabilityand comfort. Rear stop absorbs possible overload. Delivered complete with foot shell, Spectra sock, and malleolar clip. Easy foot selection: only four modules depending on the user's weight and/or activity. Trulife's newest high-performance foot—the Seattle Triumph—is available from PEL at a great, low price. The carbon-composite design provides dynamic performance while adding features to save practitioners time and money. The Seattle Triumph combines a split keel and S-shaped shank to create a multiaxial ankle-foot system with vertical shock absorption, smooth rollover, and controlled plantarflexion. With an integrated heel wedge, titanium pyramid, and Spectra sock, the Seattle Triumph comes preassembled in a removable foot shell, making it ready to fit directly out of the box. Free shipping with PEL's Higher-Activity Shipping (H.A.S.) program. Optec USA proudly presents its newest line of products, the Gladiator Knee Braces. 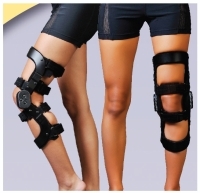 Gladiator Knee Braces are built to offer durable, dependable support to patients of every activity level. By offering varying heights and designs, the Gladiator series ensures your patients will receive the optimal brace for their specific needs. 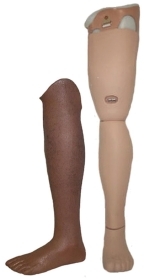 At Grace Prosthetic Fabrication, Inc. our technicians have perfected the techniques of spraying skins on all types of prosthetic devices. Our Spray Skins can be designed to be lowered for ease of alignment changes and fabricated with split toe or hair illusion. 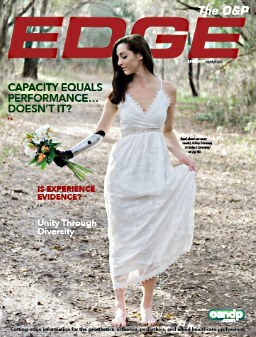 Grace Prosthetic Fabrication's pricing on Spray Skins is very competitive. We look forward to providing your patients with our Spray Skin technology. Comfort Endurance™ Suspension Sleeves are made of a tougher, more durable neoprene with a rugged, outer nylon cover to withstand the rigor of everyday use without seam failure. We offer two styles in both black and beige. Endurance Criterion features a smooth skin lining for superior support and comfort and reduces popliteal bunching. Endurance Sport adds the benefit of a nylon-lined center section to reduce abrasion. The Comfort Zip Sleeve is great for geriatric patients or for patients with limited hand strength. Gone are the days of struggling, tugging, and rolling to get the sleeve in place. M. J. Markell Shoe Company Inc.